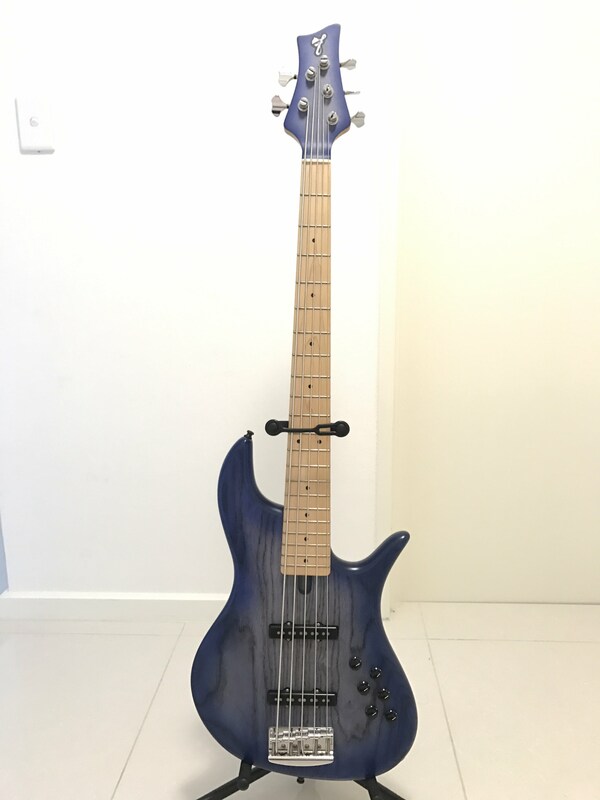 As I'm preparing to move house early next year, I'm looking to thin my herd and only keep the bare minimum basses Along with my several other sale posts, here's one that I'm probably the most reluctant to post. "Our VF series captures the vibe and accurate tone reproduction of classic '60s and '70s basses, but features modern advantages including easy access to the higher frets, an onboard F Bass preamp, a solid low B string, a modern neck carve, and we offer nearly any option under the sun for true customization. The body shape is similar to that of Fender's Jazz bass so those Fender-exclusive-players will feel right at home. They hang and are carved similarly, however, the edges are rounded a touch more for comfort and the treble horn is curved outwards for those who prefer playing in the seated position. The two separate volumes allow you to blend the two pickups in any amount of each, not limiting you to the fixed levels of a blend control. The passive tone control also functions whether in passive or active mode enabling it to modify a different set of frequencies than the ones affected by the active tone controls. As with all of our other models, our VFs are handcrafted right here in Hamilton, Ontario, Canada." Price is $3,900 firm. No trades, outright sale only. Please PM me for further discussion. Last edited by swalexbass on 30 Oct 2018, 14:43, edited 12 times in total. I was wondering when this may come up for sale! Very nice mate! One thing your video can't show is just how comfortable this bass design is. 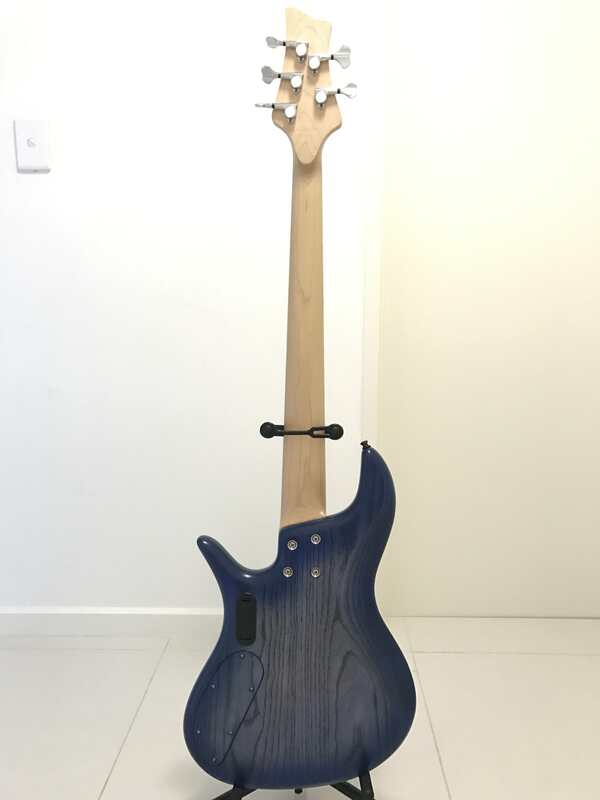 It's the most comfortable body shape I have ever played. Balances superbly when seated or standing. Thanks hamo! Hoping it will find a good owner! Thanks for the kind words! And I 100% agree, it's a super ergonomic design, it's ingenious! How much does it weigh Alex? Ha, my usual question! Hi Lawrence, it's around 4.4kg on my bathroom scale. Nice mate, thanks. Killer bass! If my Cole Clarke would sell this would be highly considered! Check post for updated partial trade options! May be open to other trade offers with at least $1500 cash coming my way, so please feel free to make offers via PM only. Thanks. Just an incredible instrument, wish I could grab it! 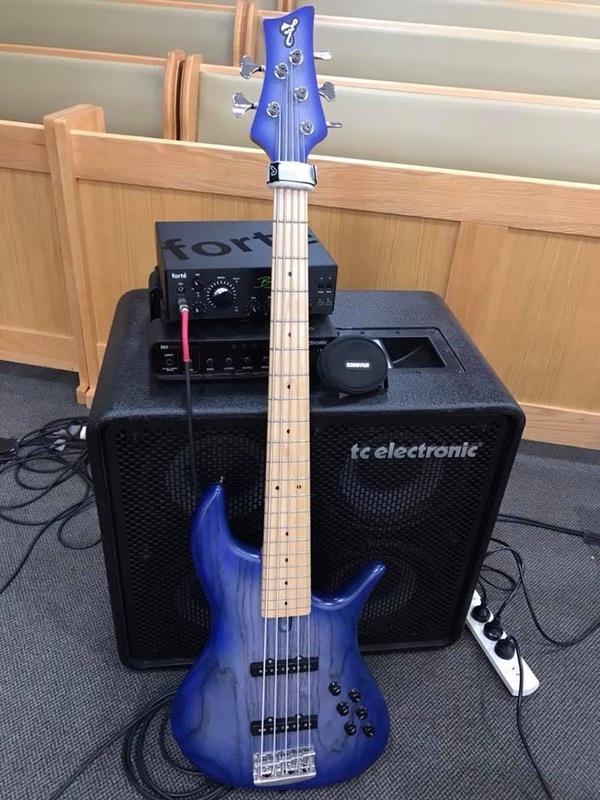 Curious if this has Aguilar or f bass pickups in it?